It’s so important to be able to read unbiased reviews from students who have attended classes previously. i find it gives confidence to others considering the same or similar courses and we now have the added benefit of working in a super new purpose built studio! Thank you all for contributing to my success! I thoroughly enjoyed my afternoon with Janet and learned a great deal along the way. I wanted to learn how to adapt a pattern to my measurements and knew that this was quite an advanced technique. However Janet made it look easy and explained every step along the way, passing on useful tips and giving me notes to take home. The teaching is done by easy steps and Janet passes on her considerable knowledge in a totally relaxed way. I came home with my adapted pattern plus a toile ready to sew and have now booked for a set of classes – can’t wait for it to start. second lesson with Janet and I can’t wait to book my next! 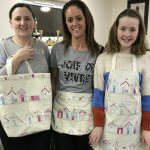 Tracy says: My daughter and I have just completed our 3rd week of the mum and daughter sewing course. 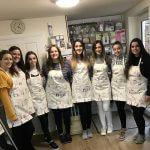 I can highly recommend the course, we were made to feel at ease straight away by the warm and friendly atmosphere. Neither of us had ever been on a sewing machine before and the method of teaching was excellent. We were shown step by step and able to work at our own pace, without pressure. Each week we have completed a task, including a pot holder, zipped pouch and tote bag, all of which are fantastic. Thank you, we both had a wonderful day today with you. Jenna added your details to her Facebook page to say what we were doing with great reaction and she has been showing everyone her sewing this afternoon. We are spreading the word of your lovely classes. We would very much like to book on another. Did you say Monday afternoon was an option ? Thank you for confirming if you have space on Monday, and the times. Once again thank you so much, we had a great morning and love the time with you, and the result. I have attended a number of Janet’s classes and also done some 1 on 1 coaching. I have enjoyed all my time immensely and this is to do with Janet’s passion and teaching ability. I would not hesitate to recommend her , no doubt I will be return to her class shortly. The venue she operates from is well organised, bright and well equipped and plenty of parking. Although I’ve sewn and made clothes all my adult life, I started classes with Janet many years ago to improve. She’s amazing! Very professional yet relaxed and approachable. Nothing fazes her and she provides excellent tuition. Would unreservedly recommend to all, from beginners to advanced. Just wanted to say a huge thank you for a great day on the beginners sewing course. I didn’t really know what to expect since I am a complete beginner (I don’t think I’ve ever even seen a sewing machine up close and have never used a needle and thread!) but Janet was a brilliant teacher and took me through each step, at my own pace and I ended up making a really useful tote bag. I keep looking at it thinking ‘I can’t believe i made that!’. I am now dropping some big hints for a sewing machine for Christmas and feel very confident about starting some little sewing projects at home. Thanks! Hi Janet, just wanted to thank you for today! I had a great time and picked up so many tips! The mystery of the ZIP and the collar has now been solved! Looking forward to the next course! In August, I came down from Glasgow to work on a man’s Harris tweed jacket with Janet as I couldn’t find anyone else in Scotland or the North of England who was offering such a course and with such flexibility. I was very nervous that I was taking on too big a challenge this time but with Janet’s thorough tuition at every step and her patience and expertise, I am confident that I will be able to complete a very professional looking jacket. Janet has taught me so much -about using different interfacings, how to press the jacket so that you get a crisp looking finish and other different tricks of the trade. The workshop is full of inspiration and working alongside her regular students has been very enjoyable. I will post photos of the completed jacket in due course. When I first joined Janet’s class it was as a complete novice, I didn’t even know how to thread a machine. 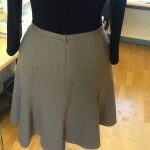 Now with Janet’s clear simple instructions, guidance and patience, I have made several pairs of trousers and a couple of lovely dresses that fit perfectly and I love wearing. I cannot recommend her classes highly enough. I have been attending Janet’s classes for a few months now and really enjoy them. 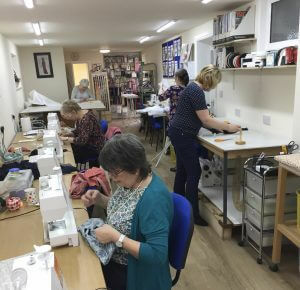 I had never done dressmaking before and have so much to learn, but Janet knows everything there is to know about all aspects of sewing and is a great teacher – very friendly, patient and encouraging. The equipment available for use at the school is extensive and all of excellent quality. 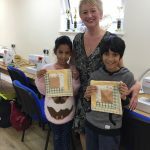 I would highly recommend any of Janet’s courses to anyone with a keen interest in sewing, whether a beginner or otherwise. Janet’s classes suit all abilities. 5 stars Definitely a 5 Star course! I have enjoyed this last year so much, Janet is a really skilled encouraging teacher and the classes are great fun. I have learned so much and gained so much confidence. 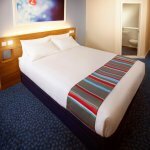 The facilities are excellent and straight forward to use. I can’t recommend the classes highly enough. Thank you Janet! 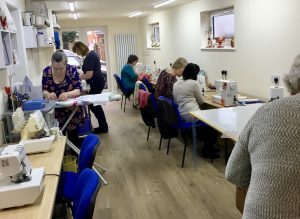 I went for a three day personal tuition just fantastic, this is a must if you need a perfect garment, will be booking again, Well worth it, thanks to Janet I have now improved and am able to undertake things I could only have dreamed about. Great sewing teacher! Great expertise in dress making! Classes are a pleasure to follow! Recommend to anyone who wants to take on sewing! I’ve learned to sew a variety of fabrics, use an overlocker, tailor a jacket, make trousers amongst other garments. Janet has helped me to make them fit perfectly by altering the commercial patterns I buy. I would never have done any of this without Janet’s help. She is so patient and enthusiastic and can even sort out a mistake into a design feature! Janet’s classes. Such an easy relaxed atmosphere to work in. Her expertise has helped me to alter bought garments to a personal fit, adapt commercial patterns and draft my own patterns as well. I thought Janet was the best sewing tutor I had come across 20 years ago and I haven’t changed my mind since. 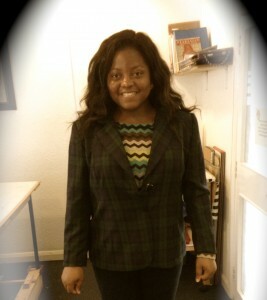 Learning how to alter patterns from Janet is great – trousers that actually fit me. I’ve gone from knowing only how to sew straight lines to making a wardrobe from work. It’s the best feeling when you get a compliment about something you made. Janet explains the best way to be economic with layouts on fabric and simplifies written pattern instructions. A fabulous class with lovely classmates. I have learnt so much at the school, from becoming very familiar with an overlocker to making clothes I am proud to wear. Janet has a natural flair to teaching us, everything is made to appear very simple and easy. Many thanks to all who have taken the time to write reviews. it’s greatly appreciated to see that my contribution makes such a difference. Seeing students progress in skills and confidence is very rewarding and is one of the reasons I set up the school in 1995, twenty one years ago. It’s also very encouraging for students considering joining a class. 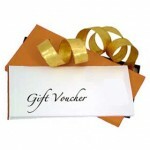 Leave your comment on my Facebook or Twitter page by clicking on the link on the home page.